This conditioner with papyrus milk smoothes and silkens unruly hair. Its key ingredient, papyrus milk, is composed of essential fatty acids and phospholipids that nourish and smooth. Hair is left detangled, smooth, frizz-free and manageable. Lightweight formula smoothes hair without weighing it down. Manageable hair is easier to style. 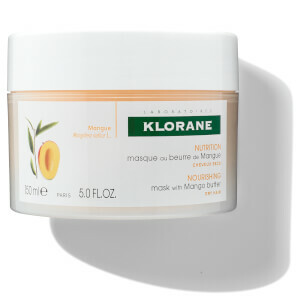 After using Klorane Shampoo with papyrus milk, remove excess water and apply conditioner in sections. Comb through, leave on for 2 minutes and then rinse. Water (Aqua). Cetearyl Alcohol. Amodimethicone. Behentrimonium Chloride. Ceteareth-33. BHT. Cetrimonium Chloride. Citric Acid. Cyperus Esculentus Root Oil. Fragrance (Parfum). Green 3 (CI 42053). Isopropyl Alcohol. Methylparaben. Oleth-10. Trideceth-12. Yellow 5 (CI 19140).